It's easy to take education for granted - for so many of us, the right to go to school seems like a basic need. But for many children in Uganda, making it to secondary school is a privilege. Through KAASO's Kiwi Sponsorships programme, you can sponsor a child through their secondary education, enabling them to continue their studies beyond primary school. We welcome sponsors from around the world to get behind KAASO's students finishing their final year of primary school, giving them the chance to further their studies and graduate as independent, self-reliant professionals. It was July 2009 and Emma Outteridge had been volunteering at KAASO for two months when one of the top pupils from the Primary Seven class came to her with a letter explaining that his father had died and his mother would be unable to afford to send him to secondary school the following year. Without help, his education would soon be ending. With a hopeful smile and a shaking hand, he delivered a letter asking Emma to sponsor him. His name was Henry. In Uganda there is 'Universal Primary & Secondary Education' which means that, in theory, education is free for all children. In reality however, the level of education in most government schools is so low that you'd be lucky to find a teacher, let alone a desk or a book. KAASO is a primary school that runs an incredible system whereby children who cannot afford to pay are covered by the school and still given the right to an education. However, there are no secondary schools that operate in this way, so children finishing KAASO who have no parents to pay school fees either attend the very basic government secondary schools or drop out. Dreams of future careers and the financial stability they represent quickly dissolve. As the 2009 school year came to a close in November, Emma looked around the classroom of 49 students finishing their last year of primary school, and her heart broke at the realisation that many of them would be ending their education here as their parents or guardians could not afford secondary school fees. She agreed to sponsor Henry and spoke to Rose to see if there were more students like Henry needing assistance. Rose came back with a list of 18 names. 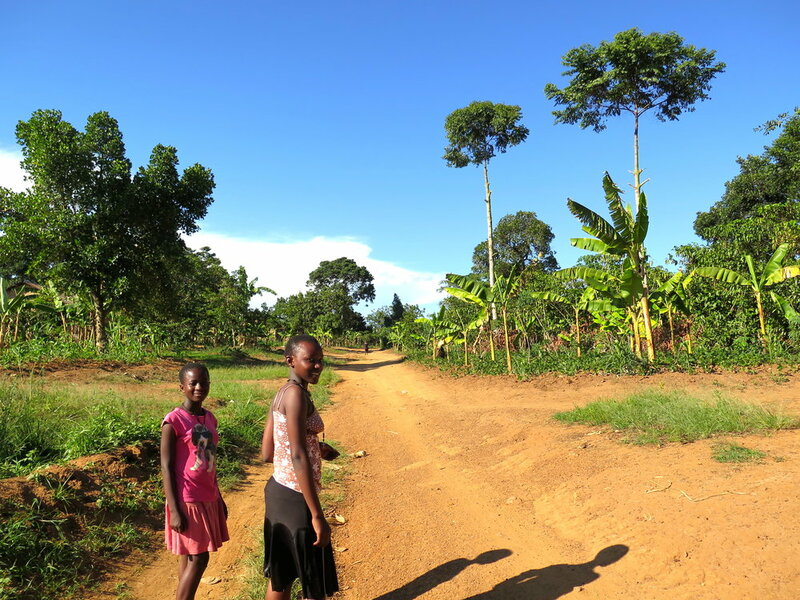 With Rose's list in hand, Emma contacted everyone she knew and by the beginning of 2010, there were seven sponsored students attending secondary school. Leaving Uganda, Emma continued to talk about the children of KAASO to friends around the world and support grew. Each year she would return to visit the current sponsor students and match new sponsors with children finishing primary school. Today, the Kiwi Sponsorships sees over 50 students through secondary and vocational schools each year. In 2015 came the first wave of graduates, and so far we have twelve students who have completed their six years of education and gained qualifications enabling them to join the workforce and start earning money to support themselves - and their families. WHY IS IT CALLED THE KIWI SPONSORSHIPS? Emma originally volunteered at KAASO with two fellow New Zealanders, Cherie Broome and Kirsty Pelenur, and the girls were known throughout the school and community as the 'Kiwi Girls'. The new dormitory they fundraised for was named Kiwi House, so it was only a matter of time before this new sponsorship programme was named the 'Kiwi Sponsorships'. While most of the sponsors were from New Zealand in the early days, today we have sponsors from all over the world, from Bermuda to Australia, from Canada to Greece. We create direct, personal relationships between each individual child and sponsor. Your money does not go into a pool for the community, it goes straight to that child and their education. Once you are sponsoring a child, it is a relationship for life. We encourage sponsors and students to stay in touch long after their financial support is over - the Kiwi Sponsorships builds family ties that transcend borders. It’s incredibly simple – each year, sponsors deposit that year’s school fees into Emma's designated Africa Account. She transfers that money directly to Rose at KAASO who then travels to each school to pay that student's fees. One of the most important elements of the Kiwi Sponsorships is that every cent of sponsors’ money goes straight to the sponsored child – there are no administrative fees or hidden costs along the way. The total cost of sponsoring a child through the Kiwi Sponsorships is approximately USD $6,000. Students complete four years of secondary school (c. USD $600-800 per year), before going to a 2-3 year vocational course (c. USD $800-1,200 per year). These costs are all-encompassing and include not only school tuition and boarding fees but also all school books, uniforms, requirements, meals, basic medical, stationary – i.e. everything the child needs to live at their boarding school or vocational college for a year. The total commitment is 6-7 years. After completing their four years of secondary school, we encourage students to branch off to join a vocational course of 2-3 years. This way, students ‘graduate’ from their sponsorships with a certification, a qualification that will allow them to immediately enter the workforce and begin earning money to support themselves – and, in most cases, their families. Students can then save towards upgrading their studies further down the track. Every step of the way, Rose, Dominic and Emma are there to guide the sponsored students. During the year, Rose keeps in touch with the students and Emma makes regular trips to Uganda to visit the students at both their schools and in their home villages, enabling her to keep sponsors informed of their child's progress. The Kiwi Sponsorships' mission is to not only assist students financially but also to help mentor them and support them through life's challenges. In November 2017, we held the third Kiwi Sponsorships Graduation Ceremony, celebrating three more graduates to add to the nine graduates from 2015 and 2016. To date, we have graduates from secondary school who have finished Senior Six as well as graduates from vocational courses in Nursing, Midwifery, Agriculture and Plumbing. The love, gratitude and hope that flow from the sponsor students and their families is overwhelming and we feel humbled to be changing lives, one student at a time. We hope you will join us on this journey and help enable the students of KAASO to make their dreams come true.